Or, maybe you’ve been reading the news and see headlines like, “Southern California home sales plummet“. To us homeowners, we may think – A ha! A recession is on it’s way. It’s no wonder that moves in the housing market contribute to our collective jitters. Homes are most homeowners’ largest asset, so any messing with home values is going to quickly get our attention. But what’s really happening? What role does housing play in recessions and how do you actually know when a recession is happening? To this, we went to our secret, undercover economist, who has given us excellent guidance in the past, to answer our most burning questions. What are recessions caused by? Recessions are caused by many things, among them monetary policy (raising interest rates), trade policy, a stock market correction, war, an unexpected spike in inflation, or a combination of factors. Why are we seeing some home prices decrease now? Tiny increases in interest rates seem to be causing home prices to roll down. However, home prices are not considered a “leading indicator” (what mainly indicates) that a recession is happening. It is peculiar that small increases in interest rates are having such a large effect on home prices this time around, and this seems to point to the fragility the middle class. As many homeowners have a lot of their net worth in their homes, small variations of changes are having a pronounced effect. Another interesting thing to note about home prices is that what we tend to hear about most in the news are home prices in major cities, like Los Angeles, Seattle or San Francisco. Those cities have seen explosive increases in home prices over the last five years. But, housing markets vary greatly throughout the country. Many areas of the United States have seen flat home prices, or very modest increases. Not all markets are the same. Housing values can change on a hyper local level. How do you tell if a recession is happening? The leading indicator of whether a recession is happening is by watching the number of building permits. A drop in the number of building permits being issued of more than 10% has coincided with a recession five out of seven times it has occurred since 1965. In the two other times, there was no recession when the number of building permits being issued dropped more than 10%. Right now, building permits have decreased, but not nearly to recession levels. Besides building permits, other ways to tell that a recession is happening are if weekly jobless claims go up, the University of Michigan consumer confidence index falls (which is currently at an all time high), durable goods volume falls, and the M3 monetary aggregate metric decreases. What is housing’s role in recessions? As we explored above, we know that recessions are caused by a variety of things, but that a leading indicator that a recession is underway is a drop in building permits. 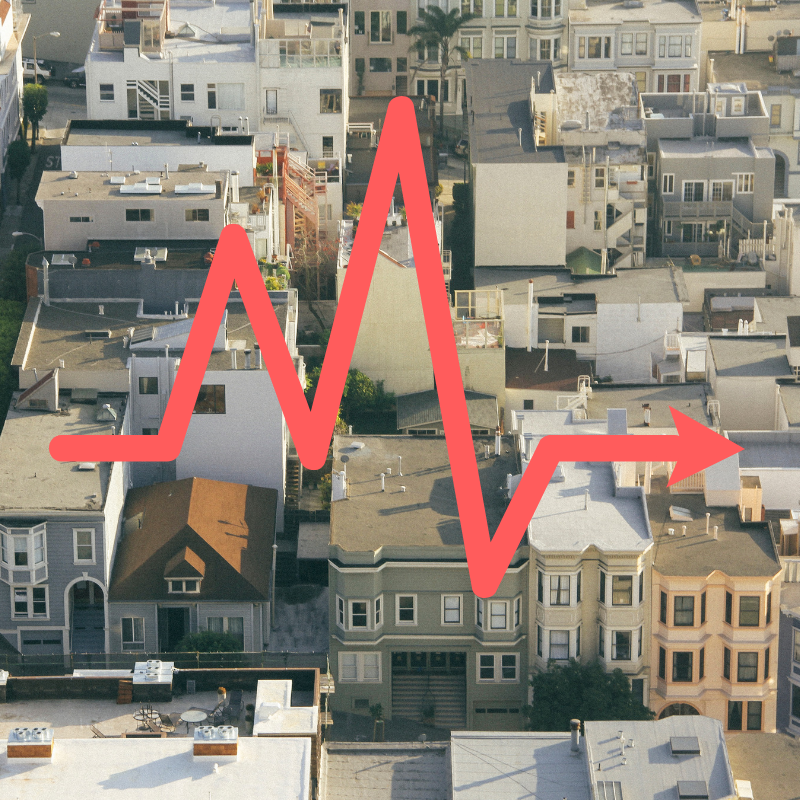 Once a recession is underway though, housing changes can contribute to larger economic changes. Residential construction can be volatile. Because housing as a product must be built ahead of demand, a slowdown in demand can cause big disruptions in the housing construction industry. And, because homes are homeowner’s biggest assets typically, changes in its value can affect spending on all items. The entire home building industry makes up only 5% of the entire US economy. But, add in all the home-related things, like furnishings and household equipment, and that adds another 5%, and 10% of the economy is significant. So, to recap, slowing demand for housing can wreak havoc on the home building industry, as homes need to be build ahead of demand (as building houses takes time!). Then, slowing demand can make the value of homes go down, which makes homeowner spend less on basically everything. How can I predict what will happen to my home value? Real estate markets are hyper local. Housing prices change very differently not just in different cities but in different areas within cities. Demand for areas changes due to the unique characteristics of a specific area. Home prices also change differently for homes at different values. For example, your area may see decreases in homes over $2 million dollars but not see decreases for homes worth $700,000, for example. You can only really know what home prices in your area are doing by investigating recent home prices (within the last 6 months) and for a home very similar to yours that appeals to a similar buyer. Read our guide on how to figure out what your own home is worth at any point in time. Considering that I have a lot of money in my home, how can I tell how much net worth I have in my home when prices fluctuate? No matter what is happening with the economy, you can use our free, instant home equity report to find the hidden wealth in your home. Just follow the simple prompts, just a few questions, and voila! 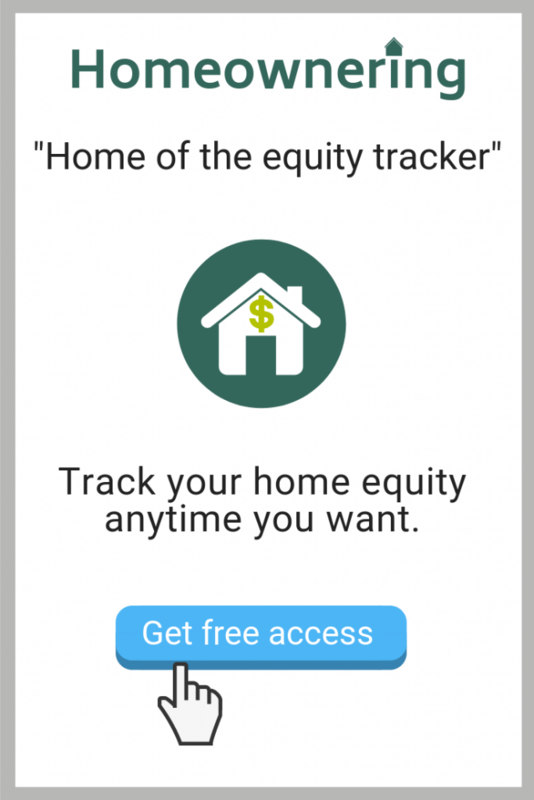 We send you a report that tells you everything you need to know about your home equity.